With the housing market tightening, and homes by big–name architects commanding a 5 to 10 percent premium over comparable buildings, both homeowners and prospective buyers are turning to architectural historians to tie their houses to iconic designers. As The Wall Street Journal notes, the practice isn’t without merit. A post-purchase debunking of a house sold on the merits of its architect can wipe out the building’s value, akin to a forged artwork. Even “new” homes by Frank Lloyd Wright, an architect whose projects have been catalogued in extreme detail by Chicago’s Frank Lloyd Wright Building Conservancy (FLWBC), still surface regularly. The FLWBC and other preservation groups have tried to thoroughly vet the claims that come their way, as the sale of a Wright-designed home often makes the news. 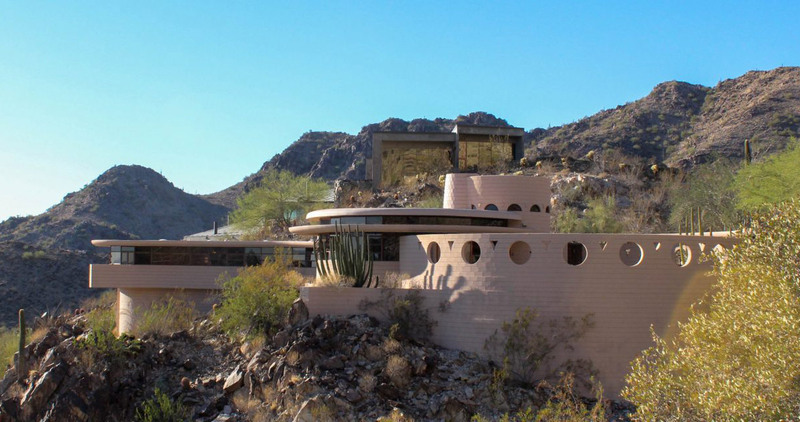 The circular Normal Lykes House in Phoenix, Arizona, was designed by Wright in 1959 shortly before his death, and has been written about extensively in the last few weeks after it was put up for sale. Los Angeles County in particular is rife with single-family homes that have dubious architectural pedigrees. Paul Revere Williams, a Los Angeles native and the first African American to gain admittance to the American Institute of Architects, and Julia Morgan, the first woman architect licensed in California, built homes throughout the state, but their work has not been extensively catalogued. As homeowners reach out to the historians and non-profit groups to verify their claims, any newly discovered buildings would help flesh out the canon of these architects’ work. If those claims aren’t possible to prove, then as the The Wall Street Journal Reports, brokers will often list the home as “in the style of” one of these architects. Putting in extra effort to determine a home’s architectural authenticity is especially necessary to help protect consumers, as brokers and sellers attempt to make use of the added value that these labels can bring. For instance, it’s unlikely that Paul Rudolph, who was known for his brutalist projects, would have designed a sprawling estate with teal terraced roofs and a helipad.